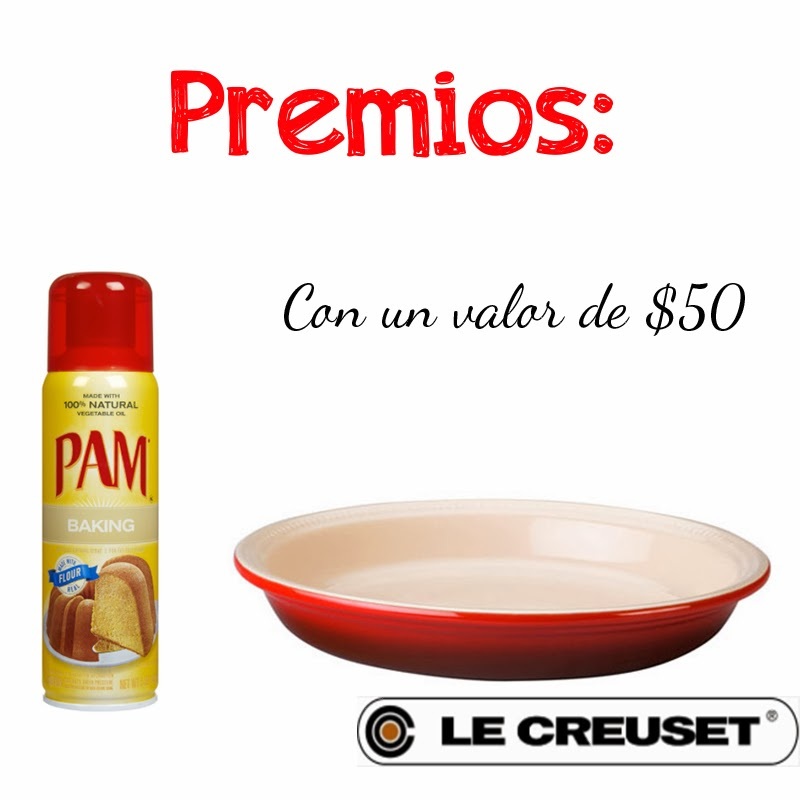 Este es un post patrocinado escrito por mí en nombre de PAM Cooking Spray. Una de las cosas que más me encanta de las fiestas de fin de año ¡es la comida! Especialmente los pays, panes y pasteles. Y no creo que sea la única que disfrute la comida ¿verdad? Cada año, sin falta, nos juntamos con la familia para celebrar las fiestas, lo que implica tener que cocina mucho, tanto como para el dia del festejo como para el recalentado. Lo bueno es que a mi casi siempre me toca llevar el postre, algo que disfruto mucho hacer. Y éste año toca será un delicioso Pay de Manzana, Pera y Arándanos. Un producto que he usado para hornear es PAM Cooking Spray. Es un producto que hace el trabajo de cocina y de hornear mucho más sencillo, algo que me encanta porque como sabes, cuando estamos contra reloj y se trata de impresionar con un buen platillo lo último que necesitamos es que algo salga mal. Digo, ¿nadie quiere que el pan, pastel o pay se pegue en el molde verdad? 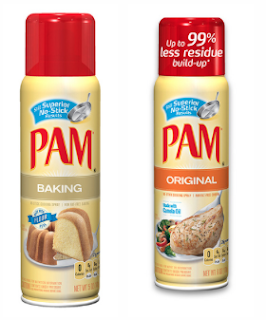 PAM Cooking Spray tiene una nueva fórmula que deja hasta un 99% menos residuo que el aceite o la mantequilla (¡yey! menos trabajo al lavar trastes), además de que tiene 0 calorías por porción. Para mí, ¡eso es fantástico!. Planea con Tiempo. No vallas a estar haciendo tu plan y compras un día antes o lo peor, el mismo día, porque si algo sale mal, vas a terminar sin postre en la mesa. No experimentes. No es bueno hacer cambios a la receta a la última hora, ni hacer recetas complicadas que no hayas hecho antes. ¿qué tal si el resultado no era lo que esperabas? Simplifica. Trata de hacer un menú sencillo, algo que sepas que te queda bien a la primera. Haz que los invitados lleven un platillo, así el trabajo de cocinar se minimiza. Disfruta. Muchas veces lo más importante en las fiestas es la convivencia con los familiares y amigos, así que deja ¡de preocuparte, ponte guapa(o) y a disfrutar el momento!. Precalienta el horno a 375F. Pela las manzanas y peras y pícalas en cuadros. En un molde mezcla las manzanas, peras, arándanos y agrega la fécula de maíz, azúcar morena, azúcar blanca y las especias. Mezcla todo muy bien. 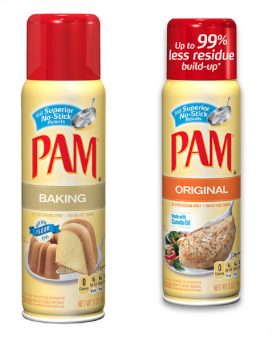 Ahora engrasa el molde para pay para evitar que se pegue la masa, yo utilice PAM Cooking Spray para hornear. Pon la masa para pay y pon la fruta para rellenar el pay. Ahora coloca la segunda tapa para pay, y cierra muy bien las orillas para evitar que se salga el relleno. Haz unos orificios en la parte de arriba del pay para que respire cuando se está horneando. Barniza el pay con huevo batido o leche para que cuando el pay esté horneado quede brilloso. Si gustas puedes espolvorearle un poco de azúcar y canela molida encima. Hornea el pay por 60 minutos o hasta que ya esté bien horneado. El sorteo es sólo para residentes de los Estados Unidos y que sean mayores de 18 años. Sorteo Comienza Lunes 2 de Diciembre y termina Sábado 7 de Diciembre a media noche (PST). El ganador (a) será elegido (a) al azar. Deja un comentario diciéndome cual es tu platillo o postre favorito en ésta temporada de Fiestas de Fin de Año... ¡Si, eso eso todo! NO PURCHASE NECESSARY TO ENTER OR WIN. A PURCHASE DOES NOT IMPROVE YOUR CHANCES OF WINNING. VOID WHERE PROHIBITED OR RESTRICTED BY LAW. INTERNET ACCESS AND VALID E-MAIL ADDRESSES ARE REQUIRED TO ENTER. 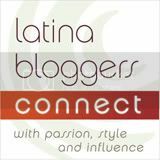 By participating in a Sweepstakes on Mi Cocina Rápida (“Blog”), each entrant unconditionally accepts and agrees to comply with and abide by these Official Rules and the decisions of Massive Sway (“Sponsor”), which shall be final and binding in all respects. Sponsor is responsible for the collection, submission or processing of Entries and the overall administration of the giveaway. 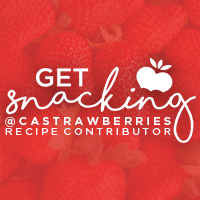 Entrants should look solely to Sponsor with any questions, comments or problems related to the Sweepstakes. Open to legal residents of the U.S. who are physically located in the U.S. or the District of Columbia who are not a minor (as defined by state of primary residence) usually a minimum of 18 yrs. old. Sponsor and parents, affiliates, sales representatives, advertising and promotion agencies, clients and each of their respective members, officers, directors, employees and contractors (including participating bloggers) (collectively, the “Promotion Entities”), and members of their immediate families and/or persons living in the same household as such persons, are ineligible to enter the Sweepstakes or win a prize. Void in all jurisdictions other than the U.S.
Leave a comment on the Blog post to enter for a chance to win. Facebook comments will not be counted as a valid entry. The winners of the Sweepstakes will be selected in a random drawing by Blog from among all eligible Entries received throughout the Promotion Period using the selection tool indicated on http://www.micocinarapida.com The random drawing will be conducted by Sponsor or its designated representatives, whose decisions are final. Odds of winning will vary depending on the number of eligible Entries received. Winner will be notified by email at the email address provided in the Entry Information after the random drawing. Potential winner must accept a prize by email as directed by Sponsor within 48 hours of notification. Any winner notification not responded to or returned as undeliverable may result in prize forfeiture. No substitution or transfer of a prize is permitted except by Sponsor. Only one prize per person and per household will be awarded. Prizes cannot be transferred, redeemed for cash or substituted by winner. Sponsor reserves the right in its sole and absolute discretion to award a substitute prize of equal or greater value if a prize described in these Official Rules is unavailable or cannot be awarded, in whole or in part, for any reason. The ARV of the prize represents Sponsor’s good faith determination. That determination is final and binding and cannot be appealed. If the actual value of the prize turns out to be less than the stated ARV, the difference will not be awarded in cash. Sponsor makes no representation or warranty concerning the appearance, safety or performance of any prize awarded. Restrictions, conditions, and limitations may apply. Sponsor will not replace any lost or stolen prize items. Prize will only be awarded and/or delivered to addresses within the US Only. All federal, state and/or local taxes, fees, and surcharges are the sole responsibility of the prizewinner. Failure to comply with the Official Rules will result in forfeiture of the prize. All entrants acknowledge that if they are chosen as a winner, certain of their personally identifying information may be disclosed to third parties at least as required by law, including, without limitation, names and mailing addresses on a winner’s list. All personal information submitted as part of the Sweepstakes may be shared by and between the Promotion Entities, and each of the Promotion Entities will use such information in accordance with their respective independent online privacy policies. Sponsor is not responsible for any incorrect or inaccurate information, whether caused by website users or by any of the equipment or programming associated with or utilized in the Sweepstakes or by any technical or human error, which may occur in the processing of submissions in the Sweepstakes. Sponsor assumes no responsibility for any misdirected or lost mail, or any error, omission, interruption, deletion, defect, delay of operation or transmission, communications line failure, theft or destruction or unauthorized access to, or alteration of, Entries. Sponsor is not responsible for any problems or technical malfunction of any telephone network or lines, computer online systems, servers or providers, computer equipment, software, failure of email or players on account of technical problems or traffic congestion on the Internet or at any website or combination thereof, including injury or damage to entrant’s or any other person’s computer related to or resulting from participating in the Sweepstakes. If, for any reason, the Sweepstakes is not capable of running as planned, including infection by computer virus bugs, tampering, unauthorized intervention, fraud, technical failures, or any other causes beyond the control of Sponsor which corrupt or affect the administration, security, fairness, integrity or proper conduct of the Sweepstakes, then Sponsor reserves the right in its sole discretion to cancel, terminate, modify or suspend the Sweepstakes. In such event, Sponsor may, in its sole discretion, perform the random drawing from among all eligible Entries received prior to or after such cancellation, suspension, or modification. Mi postre favorito es el pastel de naranja!! Hola!! gracias por el sorteo :) mi platillo favorito para esta temporada navide~as es el lomo relleno y de postre pay de nuez yummy!!! I like pumpkin pies for holidays. Hola Laura!! Eres la ganadora del sorteo de Mi Cocina Rápida patrocinado por PAM Cooking Spray!! Por favor mandame tus datos para que se te envie tu premio!! Mi postre favorito es Pay de Manzana por los olores q desprende en la casa. Aunq en estos dias probrare este nuevo con pera y arandano. Mi postre favorito durante esta temporada es pumpkin pie o cheesecake con un cafecito. Perfecto para el frio! !